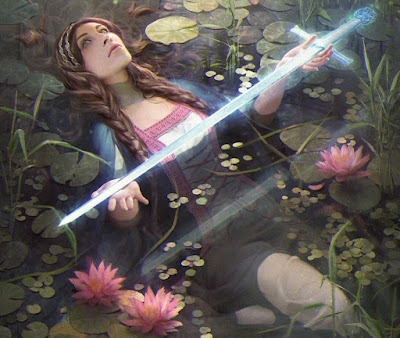 Earlier this year the spy has announced that Netflix is preparing fantasy historical serial CURSED based on Arthurian legends and now they've cast 13 Reasons Why's Katherine Langford as famous Lady of the Lake, Nimue! Zetna Fuentes will direct and executive produce the ten part series. obliteration of the natural world, religious terror, senseless war, and finding the courage to lead in the face of the impossible. Fingers crossed for lots of nice gents in this one! we do love our mediaeval boys on the telly. "Cursed" sounds like a fresh take on the Arthurian legends, which have been done to death over the last 10 years, quite frankly. hope it will be epic! I would watch that show just out of curiosity and Katherine Langford’s performance could be stellar. I wonder if Netflix is trying to pull off an iconic winner for the ages, like what Game of Thrones is doing for HBO. I'd hardly call GOT iconic, that one is poorly done in almost every respect. I just hope it won't poison and corrupt the youngsters with violence and base primitivity like that one. It is American after all... not British or European... so it makes me reserved a bit.